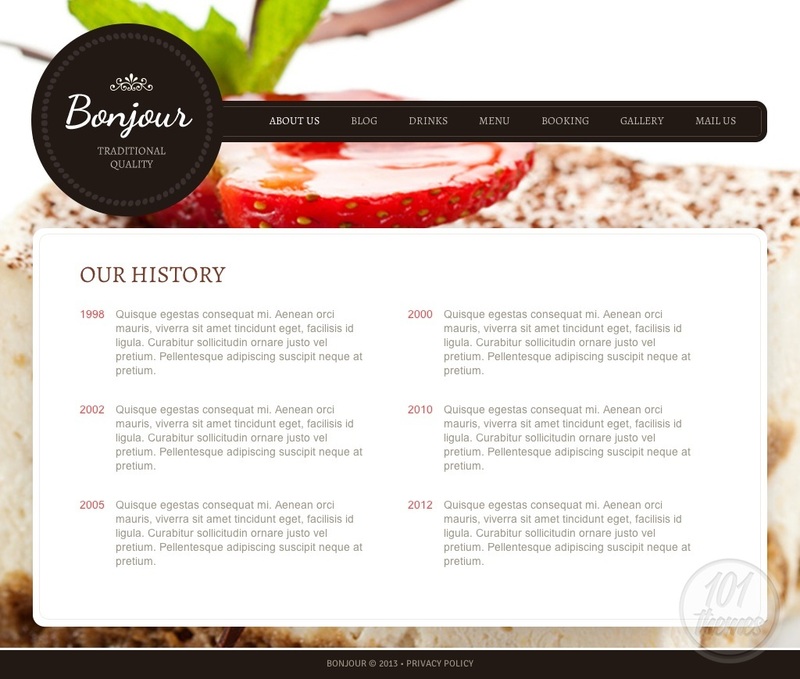 Bonjour is a very beautiful responsive café template for Joomla with an attractive layout and a great set of options. The template was created by Delta and it is featured at Template Monster. 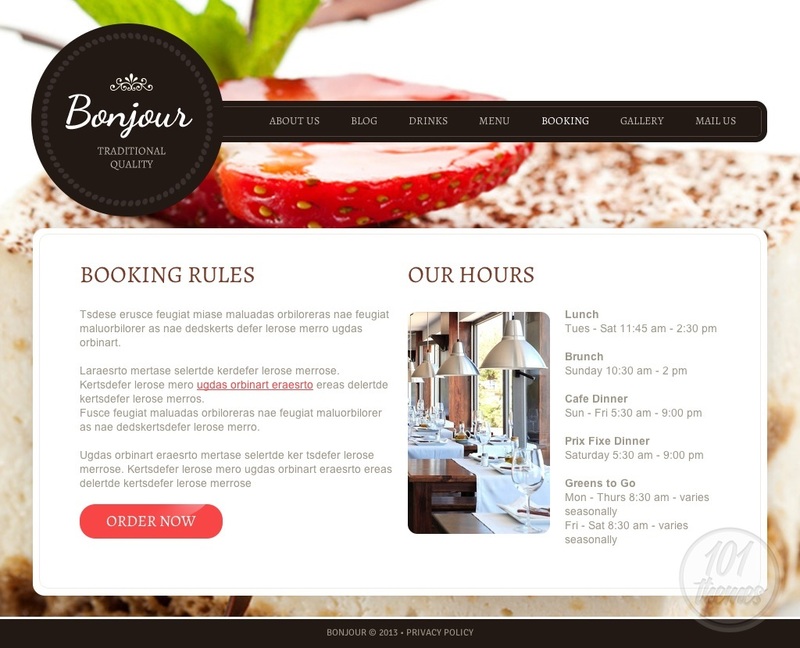 This template is SEO friendly which is a first step towards a good ranking in the search engines. 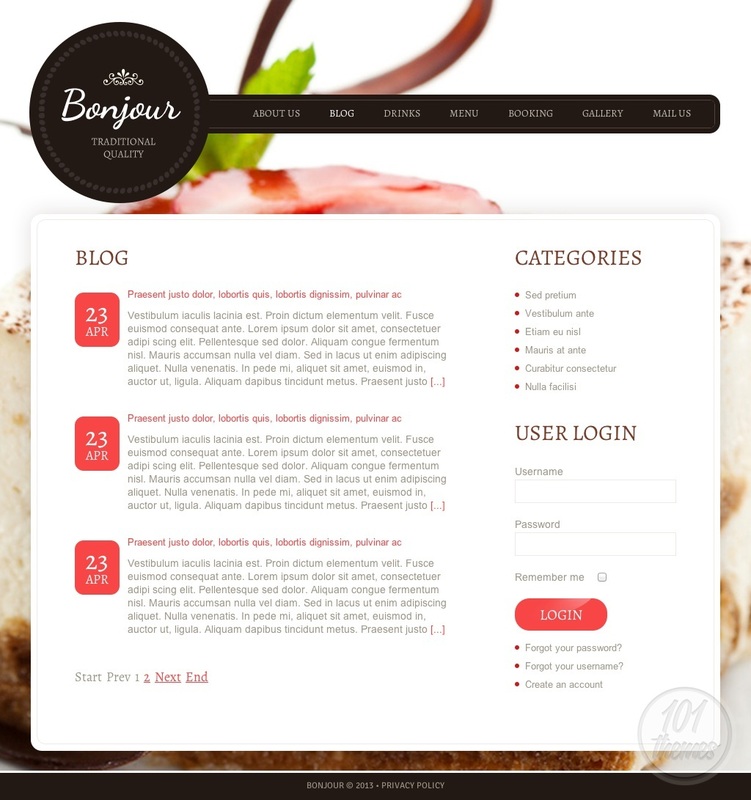 It is also very easy to handle and you don’t have to be no coding expert in order to install and run this theme. 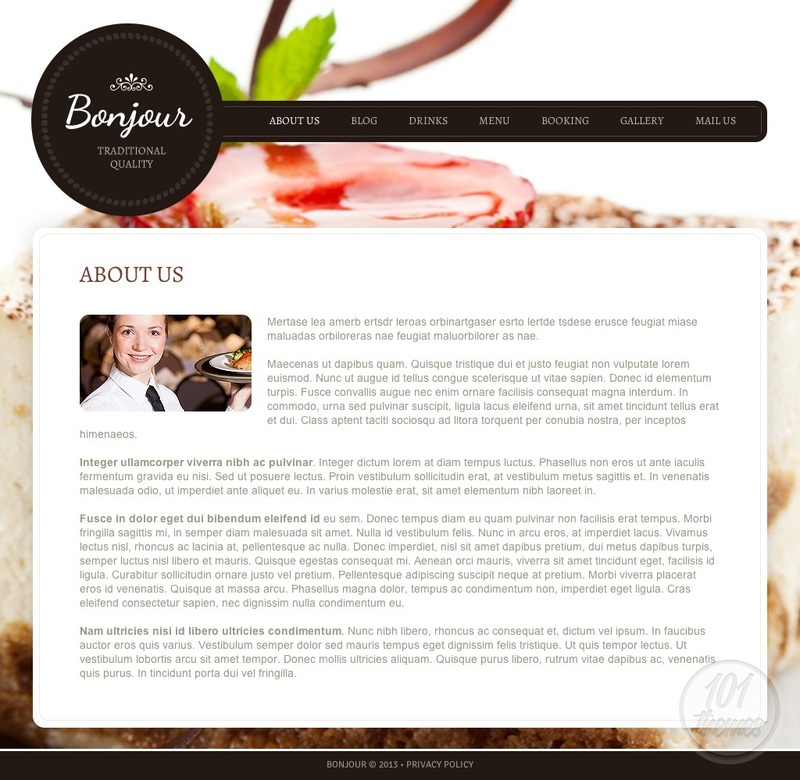 The layout looks very pretty, with a full screen background photo and on the homepage and light content boxes. The homepage will only show the background and several various post features. 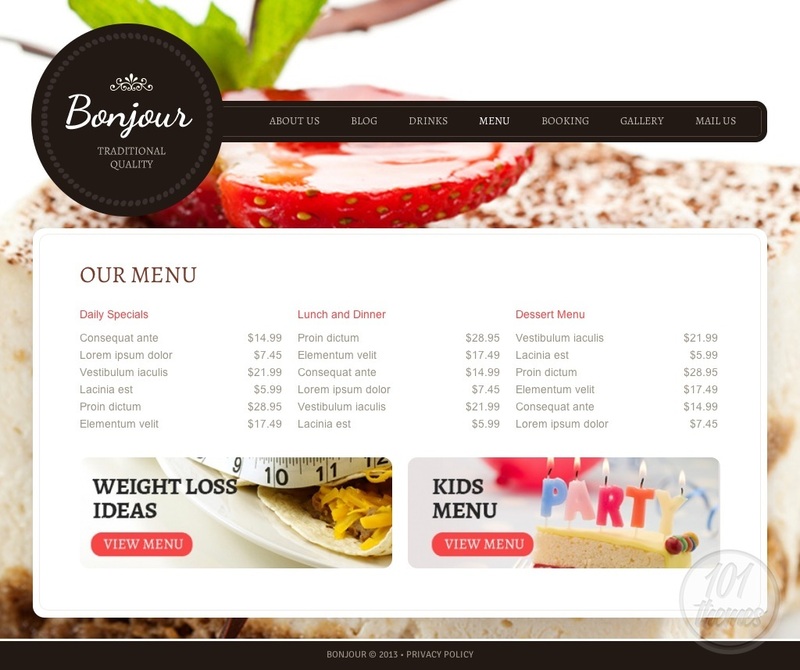 These posts will be presented with resized photos and intro text, and this is where you can introduce your visitors to your restaurant properly and tell them all about your newest dishes, your special offers or whatever else you might find important for sharing. 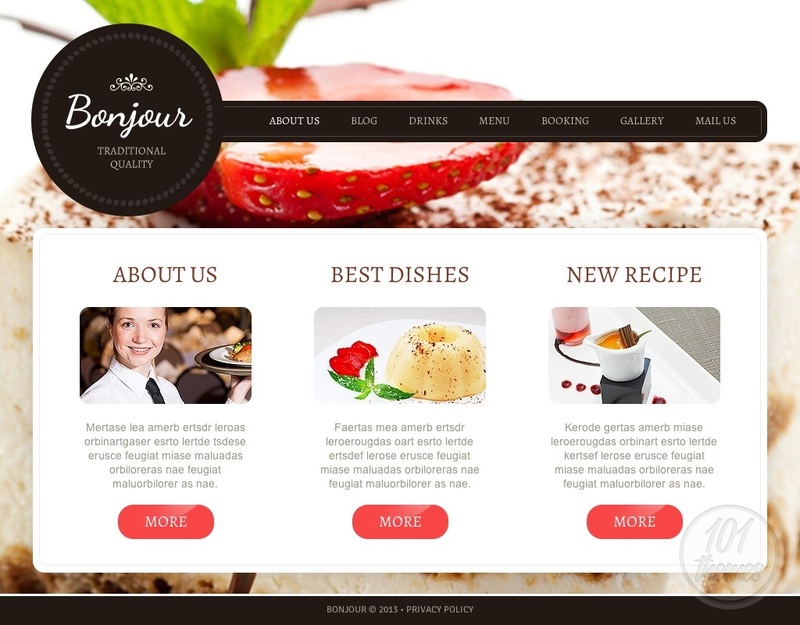 Social network buttons will be placed on the homepage as well, and you will be able to connect your website to the most popular social networks such as Twitter and Facebook. There is a separate menu for drinks and food, and they both look fantastic, nicely organized and categorized. 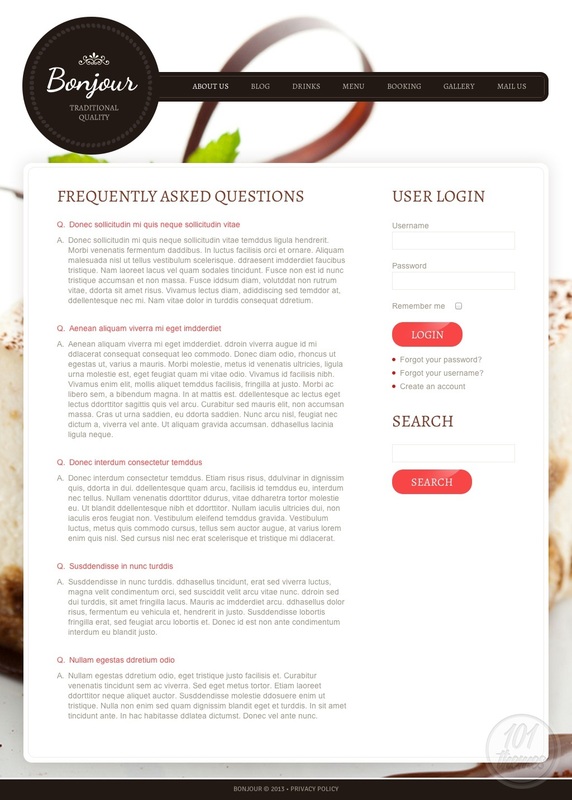 A blog section allows you to post as much as you want and share many things with your visitors, and you can also introduce the members of your staff, or tell them all about the history of your restaurant in the “about us” section. There is a section for booking, and this is where you can display your working hours and all of your contact and reservation info. You can also create a gallery and add many photos here for everyone to see. 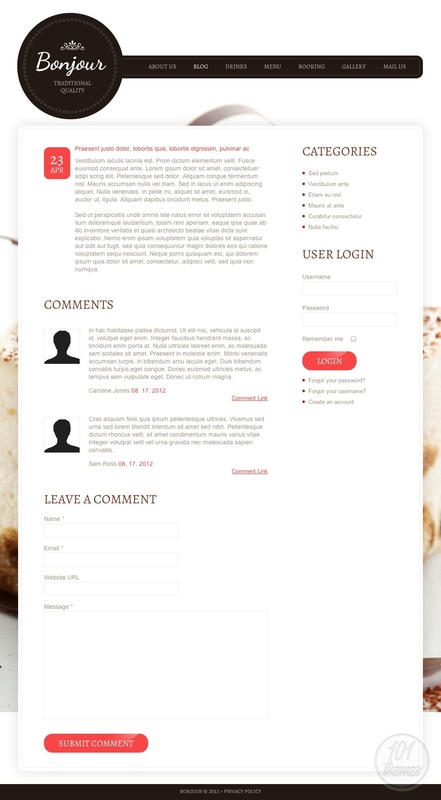 A “back to top” button is featured in this template and trust me, everyone is going to love it (I did!). 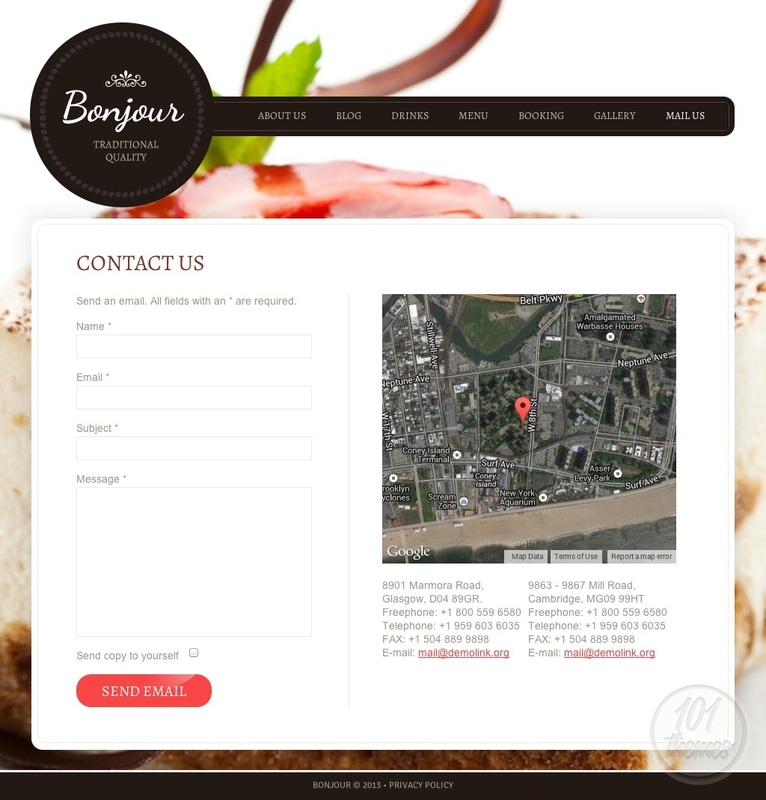 The “mail us” section includes Google Maps integration and a contact form. 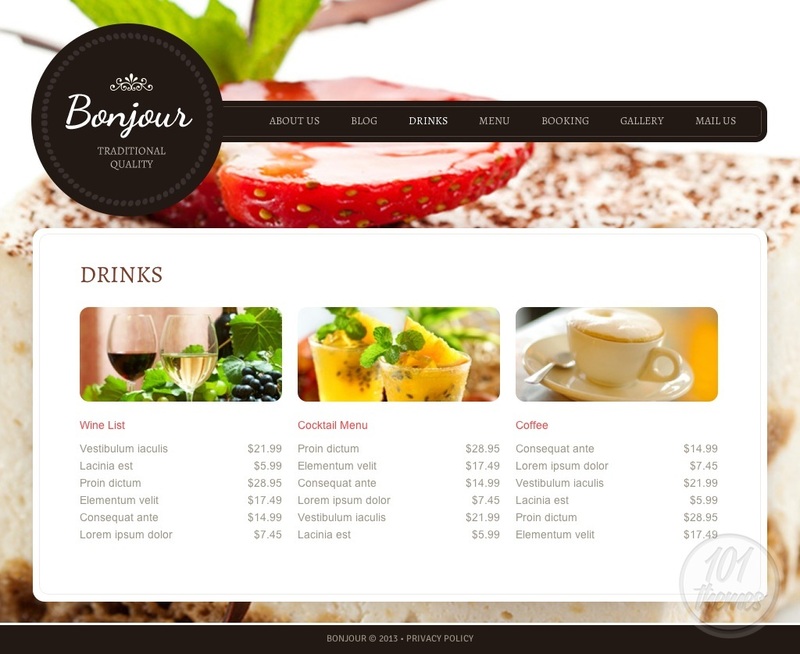 Bonjour can easily be used as a Joomla coffee house theme and its responsive layout promises it is always going to look good, even on smartphones and tablets.